LOVE: What's up this week? This lucky couple entered our #winandwed2019 competition and won! 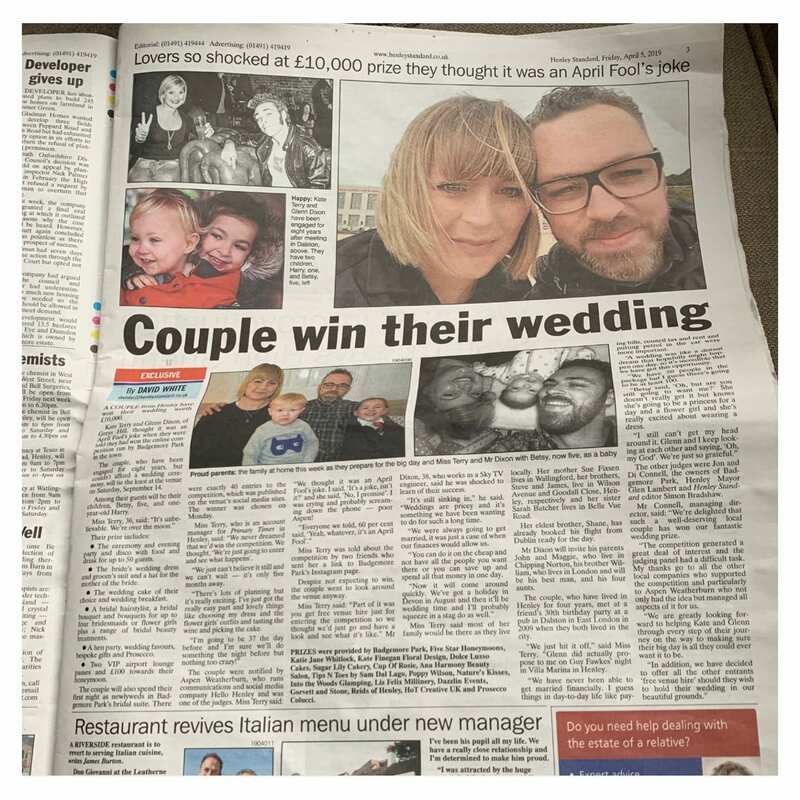 And thanks to an amazing collaboration with a group of wonderful local wedding suppliers (who are all on our recommended wedding suppliers list) Kate and Glenn will now enjoy a £10,000 wedding package – and a wedding at Badgemore Park.